Good. 0394724968 Pre-owned name printed on the first page / We ship daily + good service buy with confidence. Good. Light general wear/soiling. May have light notes/highlighting. Paperback. Good. Fair condition softcover has significant creasing, reading wear with small tears, interior text is unmarked-still a solid reading copy overall. We take great pride in accurately describing the condition of our books, ship within 48 hours and offer a 100% money back guarantee. We take great pride in accurately describing the condition of our books and media, ship within 48 hours, and offer a 100% money back guarantee. Very Good. 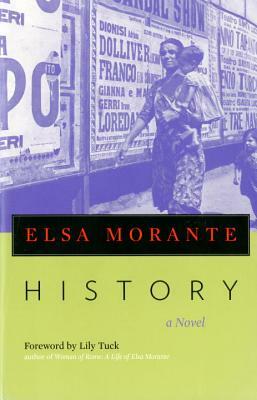 Morante, Elsa. History. Hanover, New Hampshire: Steerforth, 2000. 740pp. 8vo. Paperback. Book condition: Very good with slightly bumped edges. Fair. 1586420046 **PLEASE NOTE** This book is in Acceptable Condition. Has wear & tear, writing & highlighting. Regardless of title, CD/DVD/Access Codes or Supplemental Materials are not guaranteed. This is a U.S. Student Edition Book. This book is not a rental.